Growing Up… in Shermer, Ill. in what is possibly the best example of a classic American family. On the outside, this might seem to be true, but the Johnson family bottles up as many repressed feelings as the next family. 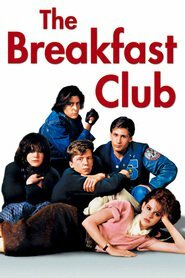 Visiting... detention all day Saturday with four other students, aka the “Breakfast Club.” All of them have exactly one day to figure out “who they are,” according to Assistant Principal Vernon, and write a 1,000-word essay on the topic. But nobody is quite sure what the straight-arrow Brian did to get tossed into detention. Relationship Status… single. Brian hasn’t figured out girls yet. And he probably won’t for a while, though he may have some possibilities in the Niagara Falls area. Some people are just late bloomers. Challenge… keeping the pressure to succeed at bay. The pressure to get good grades and keep being the person everyone thinks he is can become too much.This kind of intense stress can be enough to drive a boy insane. Brian is sensitive, and he doesn’t need any more pressure than he’s already putting on himself. Personality… meek, brainy, and quiet. Brian speaks when spoken to. John Bender picks on him but also tries to get chummy, which Brian reacts to kindly. He’s the most polite of the group, but he might also be the one with the most pressing psychological problems. Brian Johnson's popularity ranking on CharacTour is #909 out of 5,000+ characters. See our top-ranked characters and read their profiles.